Almost Shovel Ready! 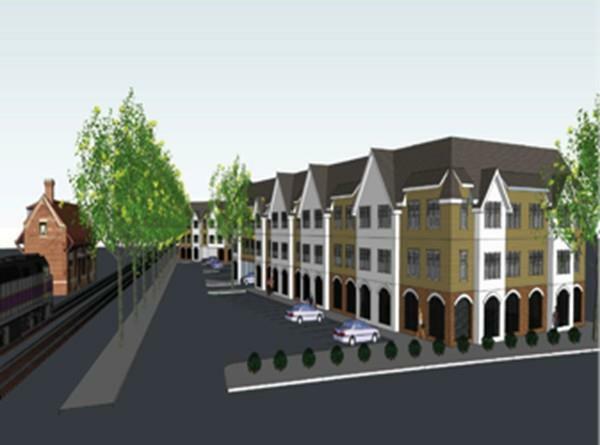 Approved for 36 apartments /condominiums. Comprised of (17) two bedrooms, (16) one bedrooms and three studios (all market rate units). Two residential land parcels of 1.40 & 0.689 acres for a total of 2.089 acres. State funding available. Property is zoned "TOD Transit Oriented Development with possible train access. Located on Route 44 (Dean Street) with curb cuts to the development. The project sits right on the Raynham/Taunton town line and close proximity to Route 24 (1.5 miles away). Call today! Listing courtesy of Dan Gardner of Castles Unlimitedâ® - Commercial. Disclosures Land For Sale (2.15 Acres) is To Right Of Railroad Tracks On Site Plan. The Left Of Rail Track 44 Dean St Is An Office Building Which is Available For Sale Separately. Listing provided courtesy of Dan Gardner of Castles Unlimitedâ® - Commercial.